Knowing that students were afraid of the many pictures of spiders in her office, Maydianne Andrade, a professor and vice-dean at the University of Scarborough, started to have meetings in the library instead. 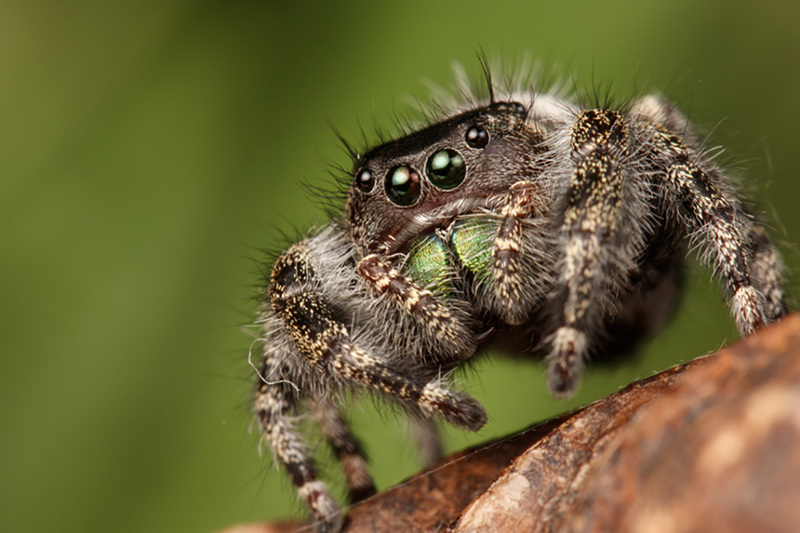 “Their biology, their anatomy, their behaviour – everything is foreign to us,” says Andrade, a world-renowned expert on the mating habits of cannibalistic spiders. She finds spiders capitvating, but many people don't. Challenging fear of spiders, one of the most common phobias in western society, is a key goal of Spiders: Fear and Fascination, the new exhibit at the Royal Ontario Museum (ROM), on display until Jan. 6. The exhibit travelled from the Australian Museum, where it is titled Spiders – Alive and Deadly (deadly is slang for “great” in Australia). Douglas Currie, an associate professor in the department of ecology and evolutionary biology at U of T and vice-president of the department of natural history at the ROM, played a pivotal role in bringing the exhibit to Toronto. The exhibit, which features more than 400 live and preserved spiders, invites visitors to confront their misconceptions and fears. Several components were added for the Canadian version of the display, many of which came from the ROM’s own collection. A dreamcatcher (which is modelled on spider webs) and a spider-themed Lakota saddlebag were added as examples of the significance of spiders in Indigenous cultures. Visitors can also find an art piece on loan from the Art Gallery of Ontario depicting Anansi, an African folktale character that often appears as a spider. As part of the exhibit, Andrade gave a talk on spider mating habits, with a focus on Black Widows. The talk was titled Through a Web Darkly, a nod to the 1961 film Through a Glass Darkly, in which a woman hallucinates that God is a spider living under her wallpaper. Andrade began her lecture by talking about spiders in popular culture, saying negative media representations likely play a role in learning to fear spiders. For a contemporary element, and as a relatively rare example of positive representations, the exhibit includes the original Marvel comic books where Spider-Man, Spider-Woman and Black Widow first appeared. “Spider-Man’s abilities are based on things spiders can actually do, and if you were to scale them up to Spider-Man size, I think they would do even more spectacular things than he does,” says Andrade. “That’s sort of an interactive element that you don’t often see,” says Currie. "So is the fact that we have live specimens. He says the reception for the exhibit has been great so far.